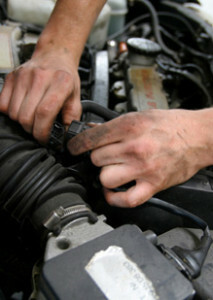 Middletown Car Care gives you high quality, reliable auto repair service at prices you can afford. Our fully-equipped facility uses the most cutting-edge technology to diagnose and repair a broad spectrum of automotive issues – on time, and on budget. Our talented team has decades of combined experience and will work with you throughout the process to ensure the total honesty and up-front pricing you deserve. For total vehicle maintenance, we provide the best in the business for all of our valued clients. We know how important it is to have a reliable working vehicle. That’s why we stay committed to efficiently diagnosing and fixing problems with an unrivaled attention to quality and detail. Our local, independently-owned company has been providing the Middletown area with personalized peace of mind and exceptional, trusted service since 1998. Our founder, Sean McDade, is a familiar local face and a respected mechanic who has serviced thousands of cars in the M.O.T. area since opening his shop. At Middletown Car Care, we keep it honest, you keep us busy. Contact us today to schedule an appointment for total car care!